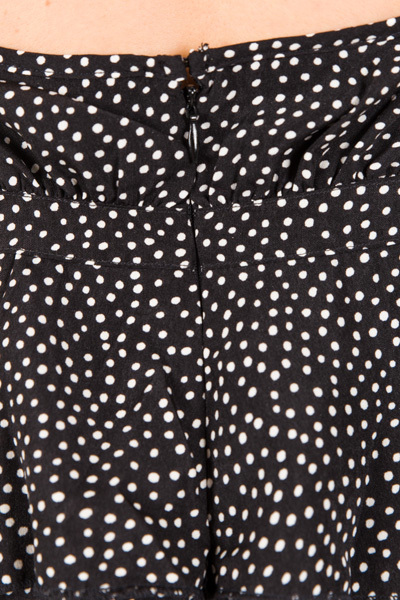 This dress has a chic, vintage look to it that is very much in style today! The halter neckline is adjustable for a good fit. Dress is lined and has a zipper in the back. Fit is true to size. Katie is wearing size small. Length measures approximately: S=37" M=37.5" L=38"